okay so some of you know how to make dresden plates, others of you have thought you'd like to try it but you don't know where to begin, and other of you are like "ew dresden plates is an old fashion block." well then i'm talking to you if you fall in any of these categories. the name dresden came from Dresden, Germany, apparently some dudes and dudettes had really ornate china there or something so because this block kind of looks like a plate...they named it the dresden plate. whatever you didn't come here for a history lesson you came here to learn how to make one. one statistic you kind of need to know is that most dresden plates patterns call for 20 petals. and if your seam allowance is correct 20 petals should work out just grand to have your plate lay flat on the traditional dresden plates. 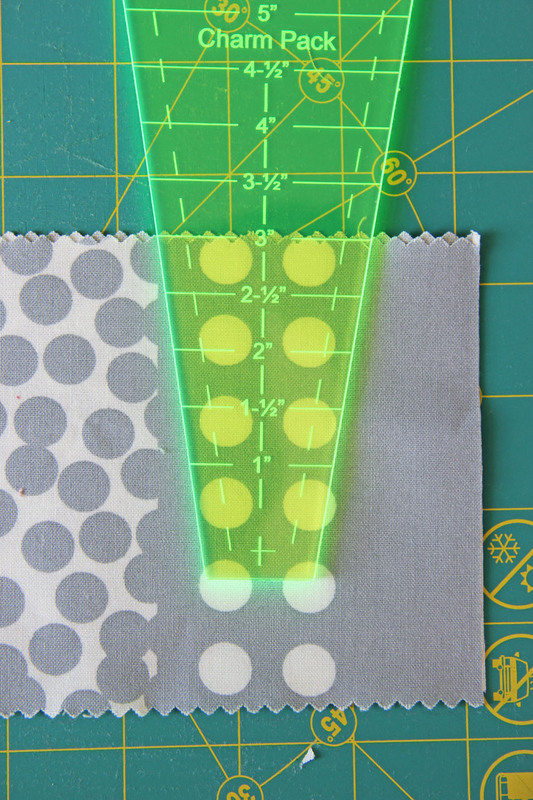 if your seam allowance is not a true 1/4" you will find yourself needing to add a petal or two. no biggie...but the better you are at the seam allowance the more likely you will be fine with 20 petals. so lets talk a little about this block. and how to create it. you can do a paper template which you can download free, from many websites. or you can use a plastic template . the size of the template and the angle of the ruler will affect the size and shape of the petals as well as the thickness. this large template is the 18 degree petal. the tiny little template is used just like the large one on the left. except that i use a 1/8" seam allowance when it comes to sewing with the tiny one. thats just how i do it, so that i don't over lap on my seams at the bottom on the skinny part. 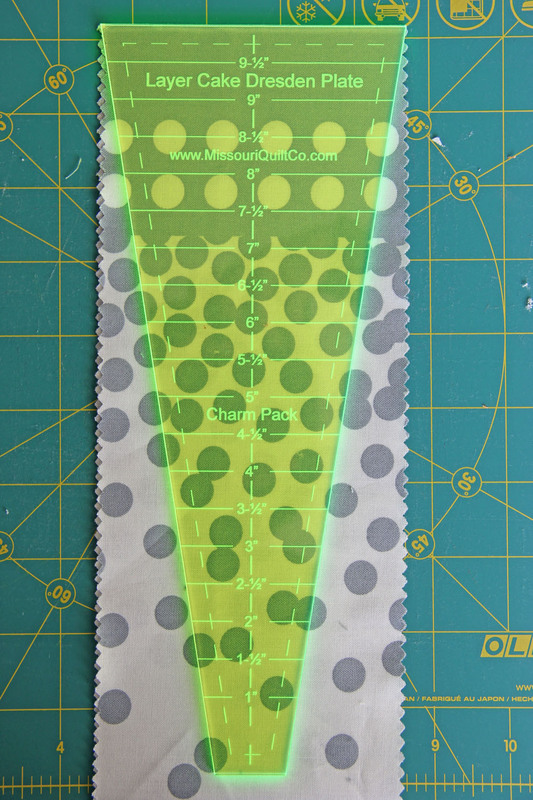 but for the other rulers, use a 1/4" seam allowance. 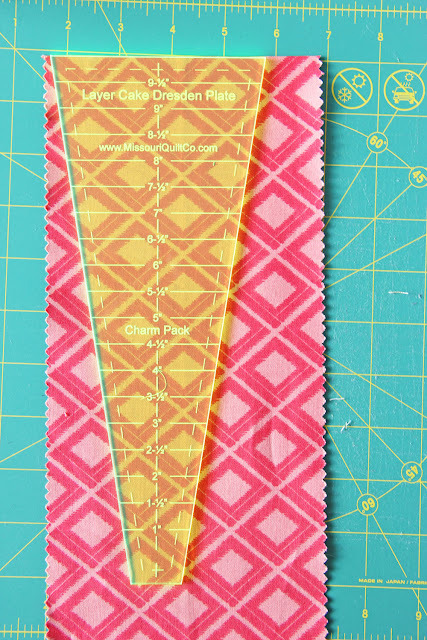 but because i used 1/8" seam allowance when i finished my plate i only ended up needing 18 petals instead of the 20. again not a big deal...but if you are a stickler for rules..stick with 1/4" seam allowance. okay so lets talk about the length of your petal using the most common dresden plate wedge (18 degree wedge). 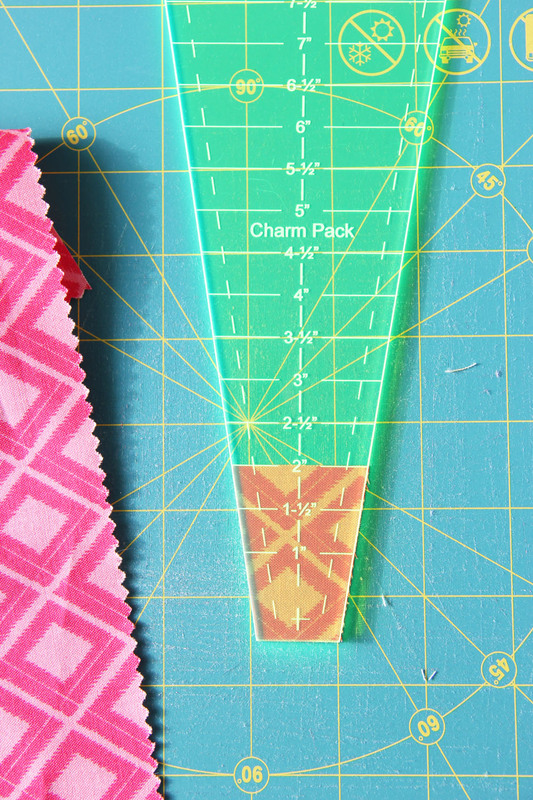 on this ruler it goes up to 10" (which is the same width as a layer cake) and you can make any size in between 1" to 10" length petals. so really chose whatever size you want...have fun and experiment to see what size is your favorite. 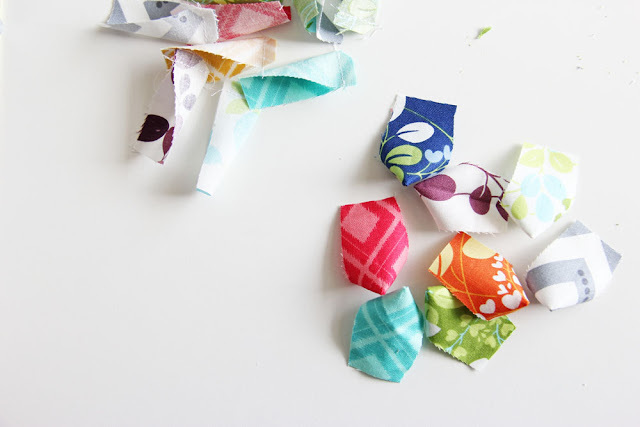 i find that normally i like to use up my scraps so i tend to gravitate to the smaller petals. we will need to make 20 petals. i like it super scrappy but matching...so i used my simply color scraps or this little candy works great too! and picked out a few fabrics that i thought would look cute in one plate. 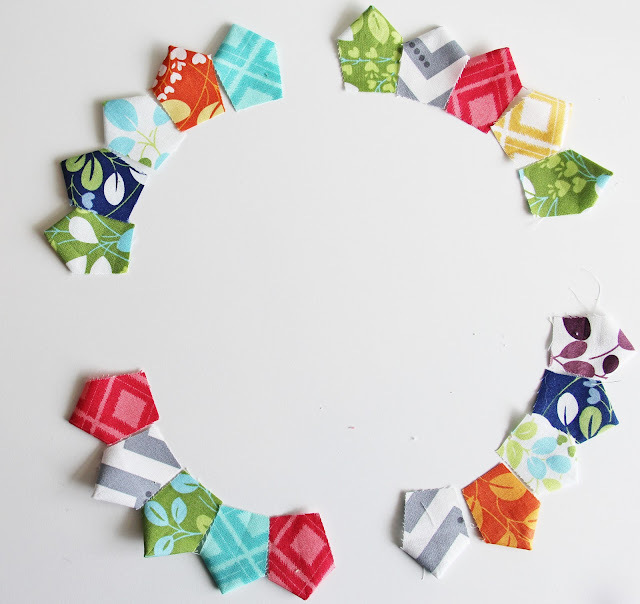 and i could get all different sized scraps so that was a perfect fit for me this time around. 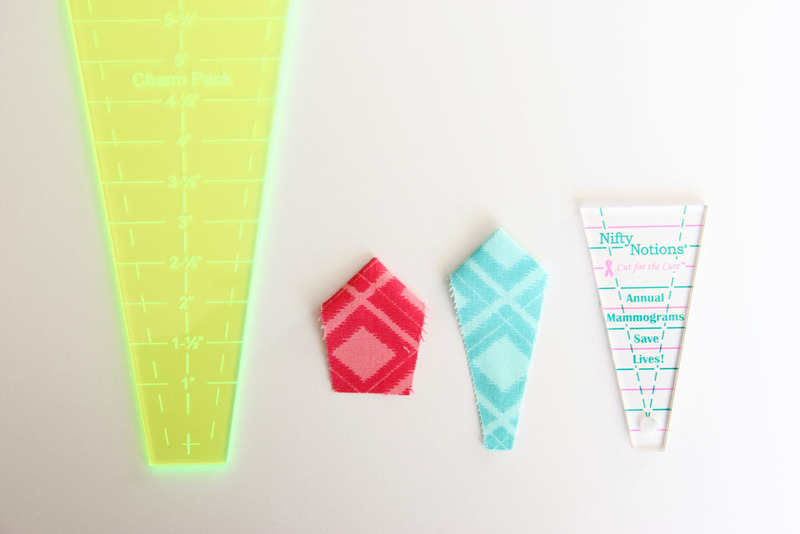 -so using my template i cut out with my rotary cutter the wedge shape. if i were to want to make more of this color i would cut a 2" strip and then alternate the way the wedge would face to keep cutting more wedges. - take the larger side of the wedge and fold it in half right sides together. 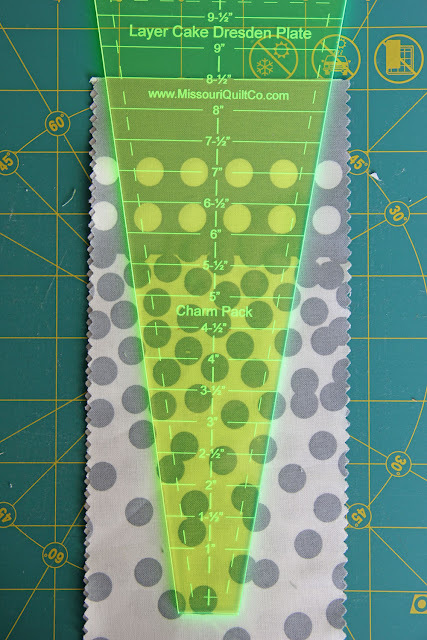 -to make this process go a little more smoothly and quickly "chain sew" your wedge tops. 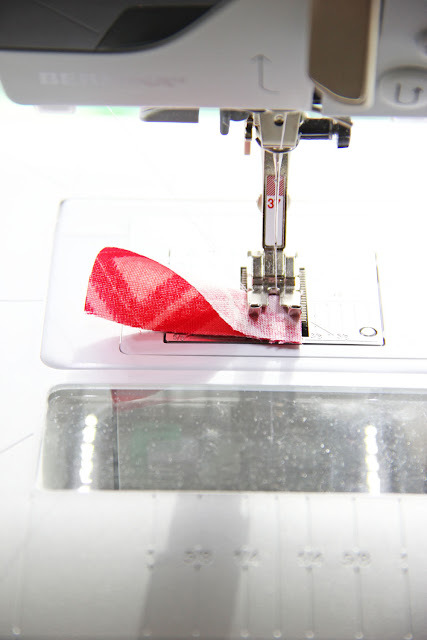 *chain sew means you do not take the wedge off the sewing machine and you just sew the next one leaving a small amount of thread in between the fabrics. -cut the thread in between each fabric. 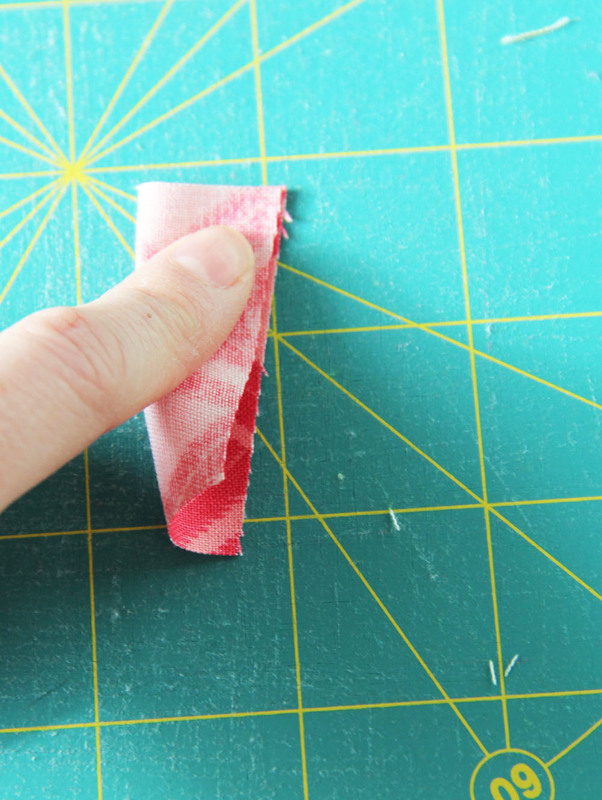 -take the petal and rotate it so the seam is facing up towards you. -when you "smush"down your point it should line up to your point. - turn inside out your point. -do this for all 20 petals. 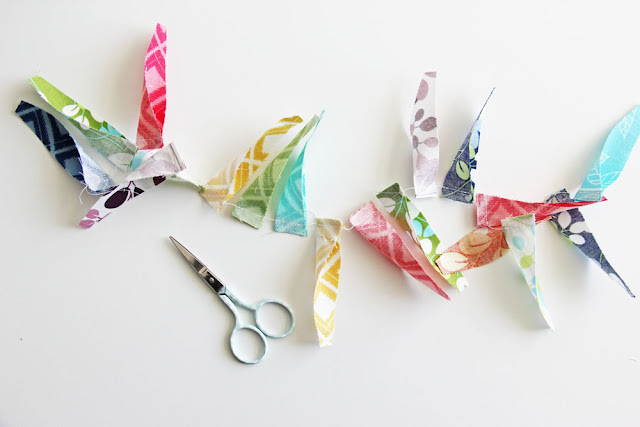 -we are going to work with 5 petals at a time and then we will combine the 4 sewn units together in the end. 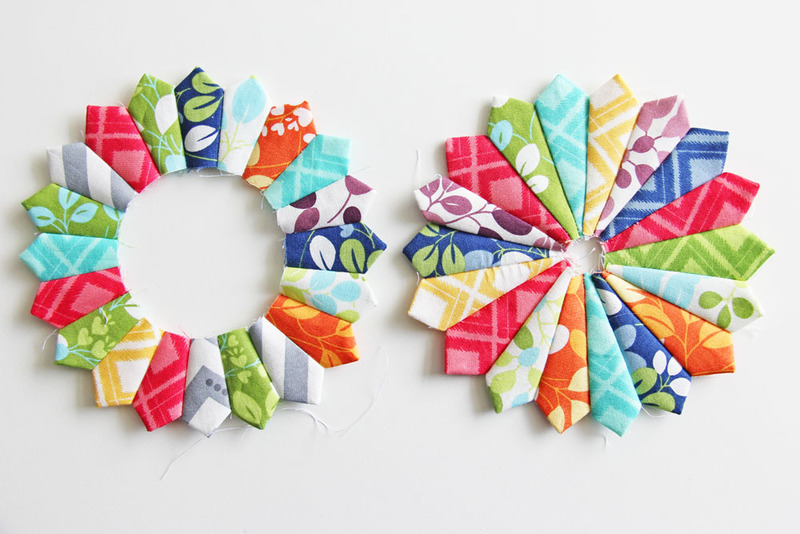 -start by placing two side by side petals right sides together. -make sure your points line up and your two side points line up as well. 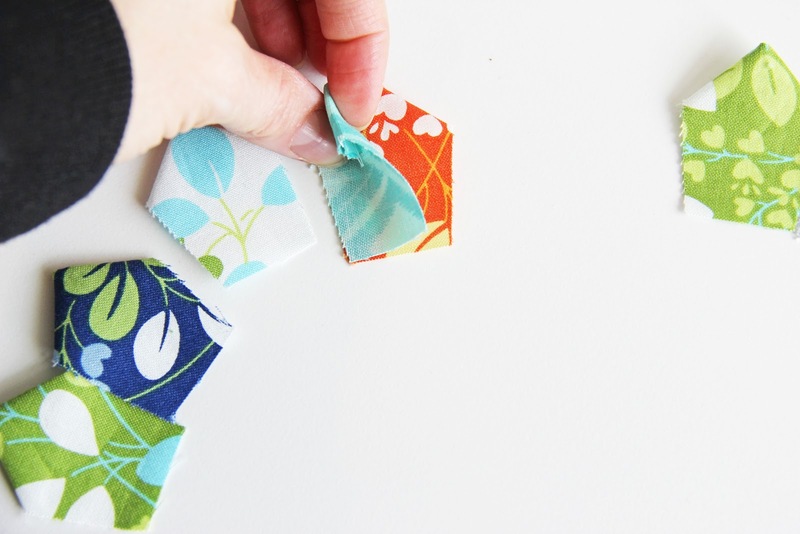 -sew together your five petals carefully and slowly if need be to make sure you get that 1/4" seam allowance. *i like to press my seams open. 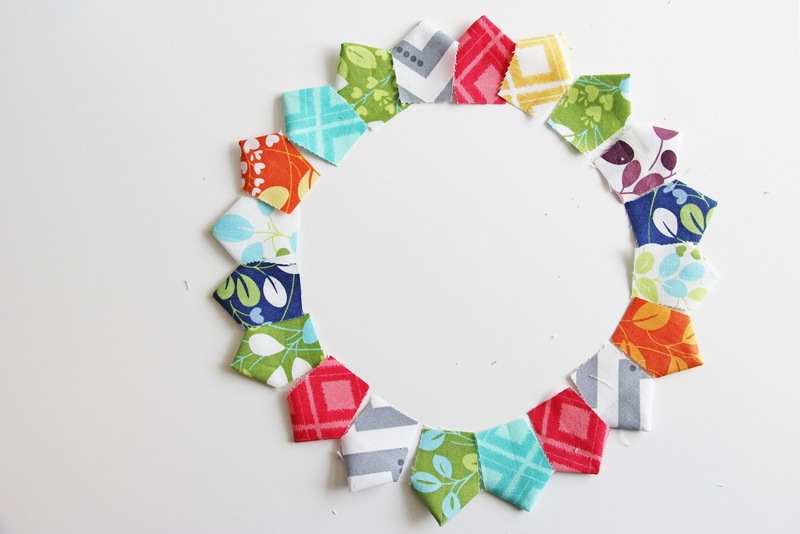 -sew the 4 units of 5 petals together, then join the 4 units together. you are now looking at your first part of the dresden plate! 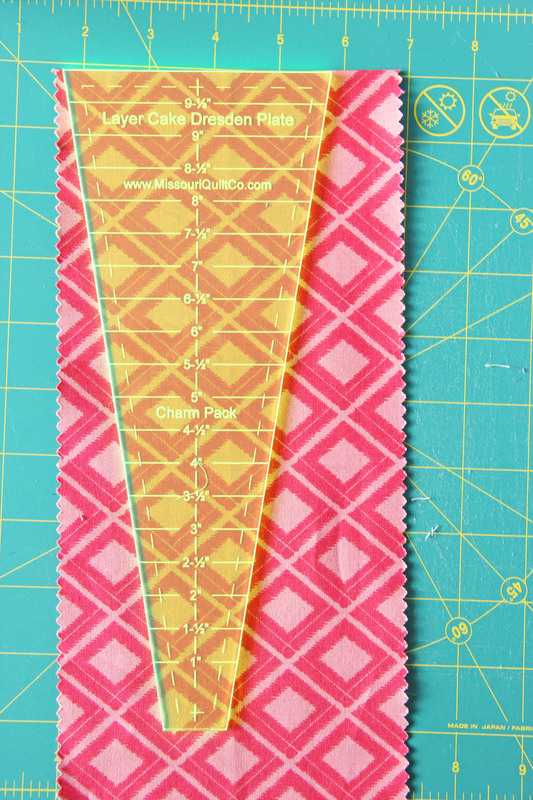 -i included the picture of the second dresden plate using the tiny template and using the 1/8" seam allowance as well. they are close in size, but as you can see the middle opening is much larger on the large template. 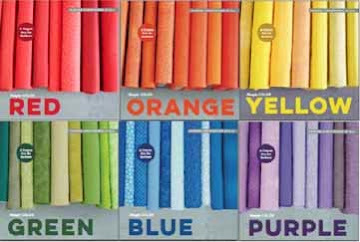 sometimes the fabric we chose has great design that we can use to our advantage! 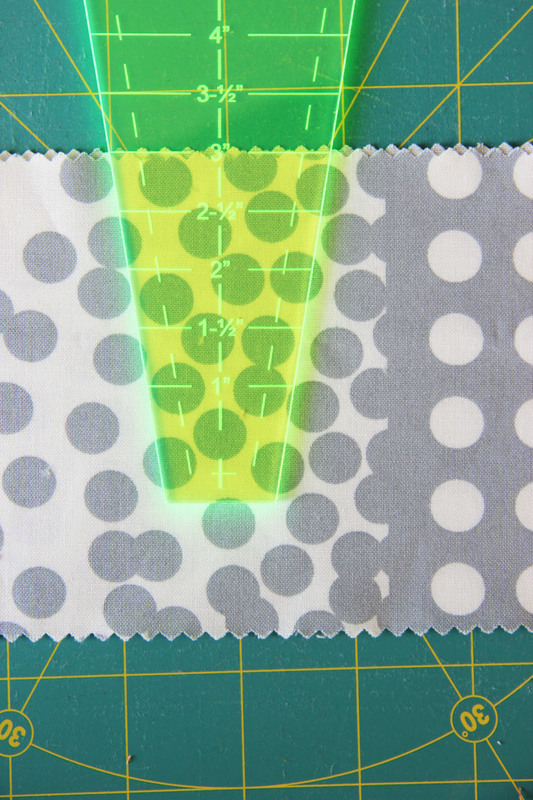 like my dot's fabric for simply color. i wanted to show you how large these dresden plates were compared to the one we just made. 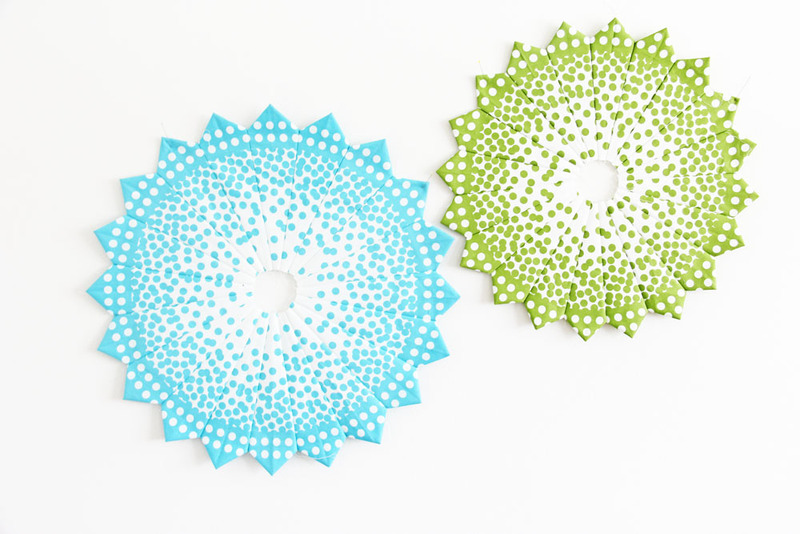 the blue one was made with the petals starting out at 9 1/2"
the green one is 8" petals. 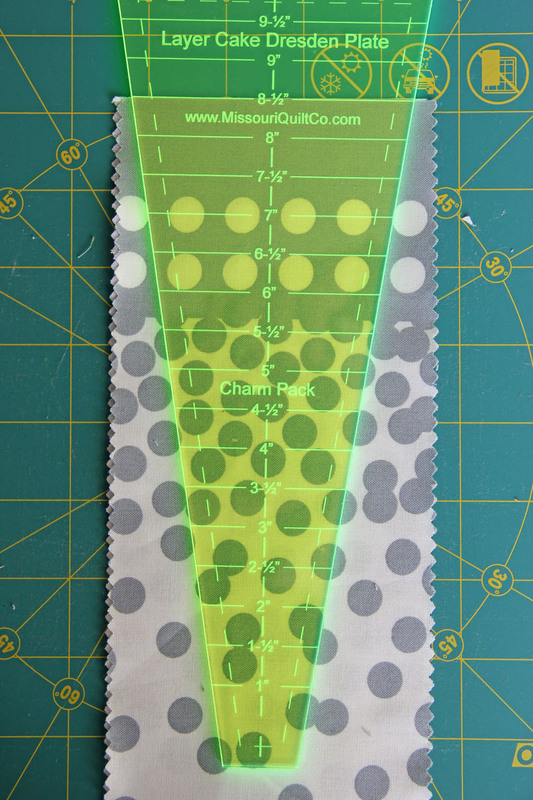 when playing with this fabric, (featured here is the gray dots) i wanted to get the solid edge on the outside. and when i made the blue one with the large petal you could see the dots really becoming more sparse as it got closer to the middle. -the green one you can still see the dots getting sparse, but because i used a smaller petal the dots were a little "thicker" in the middle. 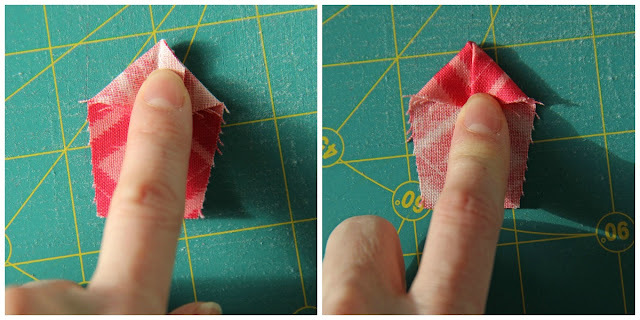 -play around with "fussy cutting" your fabric to get a different look! -here if i were to cut this petal, it would have a great polka dot look. and if i moved just slightly higher it would have these awesome dots in a row. hmmmm i wonder what that would look like :) maybe i'll have to give it a try. okay so there you have it. my little shpeal on the the petal part of the dresden plate. next week we'll talk about middles. how to appliqué a circle, raw or turn under, or other techniques. but until then... work on making some of these lovely ladies and tell me how it goes!!! Wow! 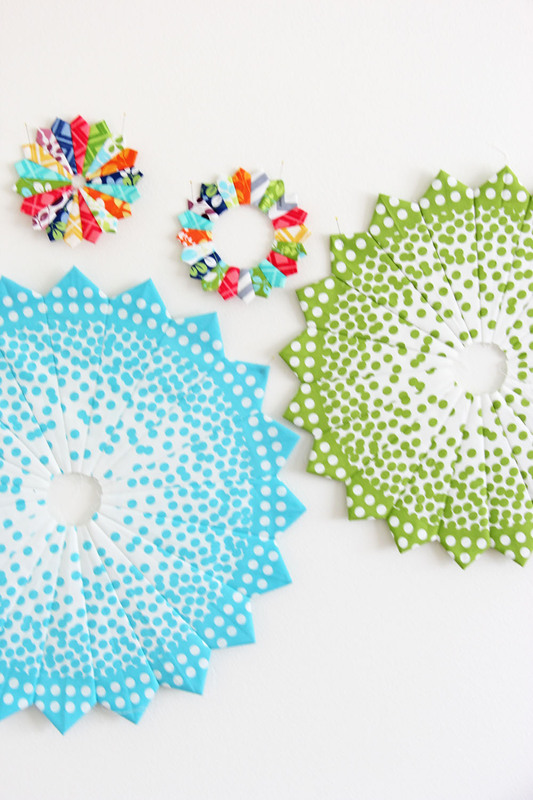 Love how the dots make the pattern look differently! 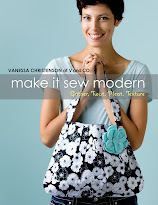 Love the old fashioned quilts..with the dots, it is updated! Excellent tutorial! I love Dresdens :) I love the ones with the dots! It is so crazy you are doing this. After seeing your others I started making dresden plates using Simply Color. 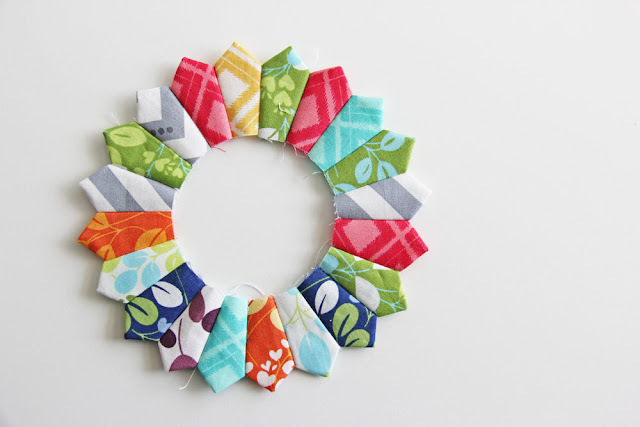 I used a jelly roll and am loving it. About half way done...can't wait! So cute, do I dare start playing with these with so many projects on deck! Love it! The green one would make a killer tree skirt! How do you know the size of your plate as compared to the petal size? i LOVE with those dotty dresdens! LOVE!! Thank you so much! This is fantastic! 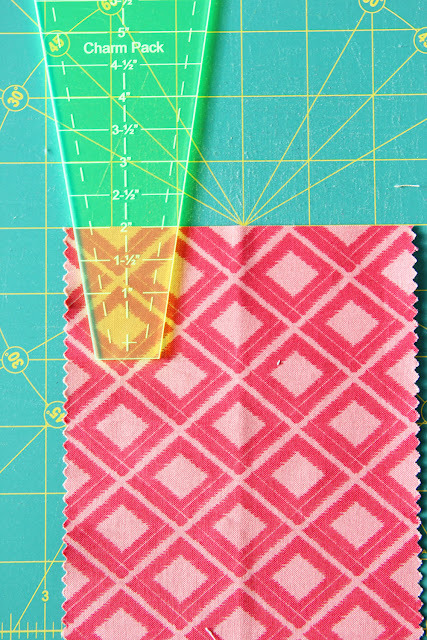 This new quilter might actually try it! 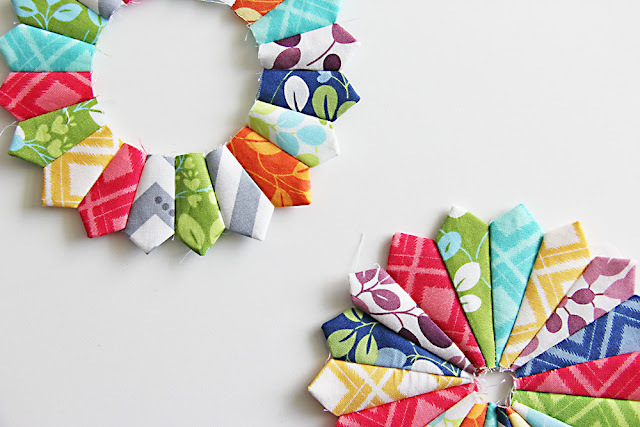 These are pretty darned cute! This is a great tutorial. Thanks for working on this and posting it. i am in the camp of ewww its too old fashioned. but this tutorial and your lovely blocks (plates?) got me over that. where did you get your dresden plate ruler? i went to my local quilt shop and they didnt have it. Great tutorial! 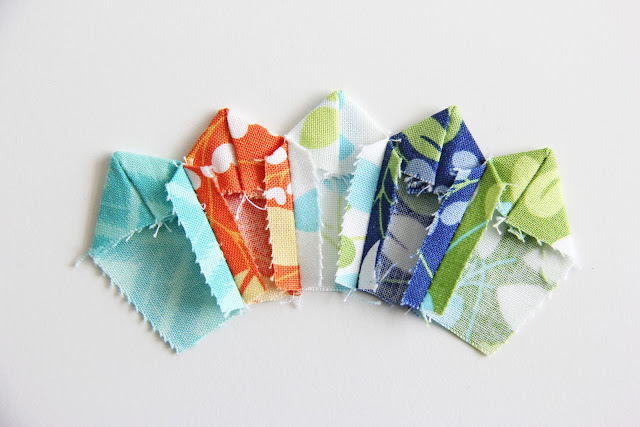 We LOVE your new fabric and have had lots of fun playing with it! 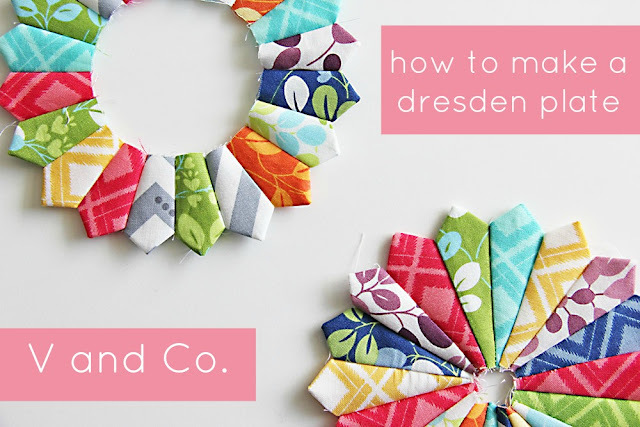 Dresdens in those colors are my favorite! Glad you like the ruler. Your dots fabric looks amazing on dresdens! How great are those dot dresdens? A-mazing!